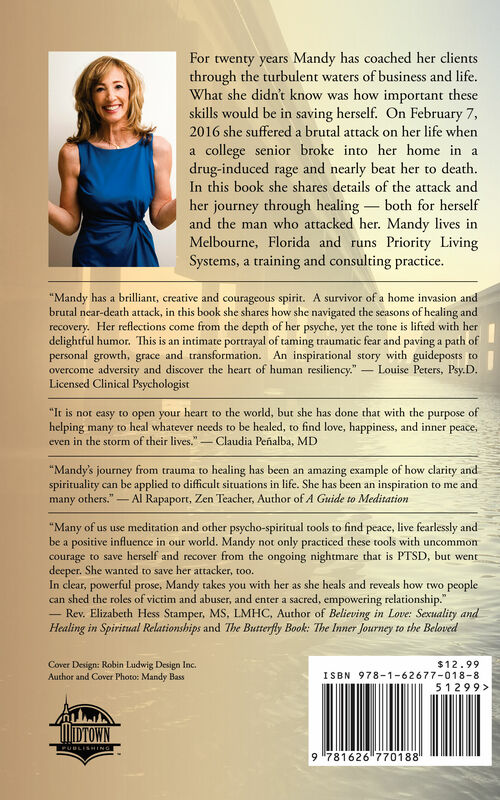 MELBOURNE, Fla., Dec. 21, 2017 /PRNewswire/ -- In her new book, Mandy Bass, 56, tells her remarkable story of the frightening and brutal attack on her life by a young man who broke into her home on a Sunday afternoon in February 2016 and nearly beat her to death; and how she ultimately advocated for - and got - leniency for her attacker. 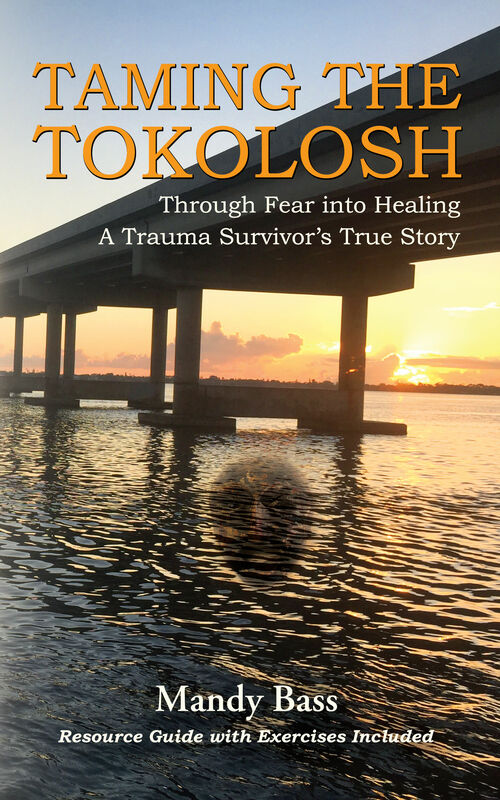 "Taming The Tokolosh: Through Fear into Healing - A Trauma Survivor's True Story" is available on Amazon. Bass organizes a meeting to confront her attacker but within minutes she experiences grace and finds herself consoling him. According to Bass, "While working at my desk on this Sunday afternoon, I heard glass breaking on the other side of my house. I went to investigate thinking my cat knocked something over and found myself confronted by the mad, relentless fury of a 6-feet-tall, wild-eyed, drug-crazed young man." The young man, "Ken," broke into Ms. Bass' residence to escape the police while he was experiencing a (first-time) drug-induced psychotic break. Mandy eventually managed to escape with multiple injuries including a broken arm, head injuries, bruises and contusions all over her body. Charged with several felonies — one, first degree — Ken was facing a life sentence. For months after the incident, while Mandy struggles to heal physically and emotionally from the attack, she is also faced with deciding his fate. 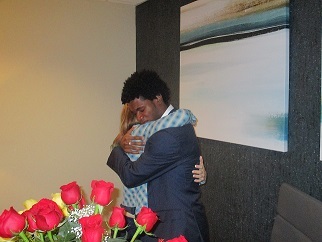 Nearly a year after the attack, while awaiting trial, Mandy asks to meet with Ken in person. When she meets him, she realizes that he is not the monster she had conjured up in her mind but a frightened and remorseful young man. "Taming The Tokolosh" excerpt: "You don't look nearly as scary as you did last time I saw you," I blurted out, trying to lighten things up. Ken's hands started to tremble. I could feel him starting to break. "I am sorry," he said. He shook visibly. Instinctively I put my arms around him to give him a hug. He began to weep. "I forgive you..." I whispered, patting my attacker's back as he clung to me, tears streaming down his cheeks. "It's going to be okay. I promise." Mandy advocates for his leniency and the district attorney ultimately downgrades the charges. On Jan. 25, 2017, Ken learned he would not be serving prison time. His adjudication has been withheld for 5-7 years during which time he is on probation and prohibited from consuming alcohol or drugs. Ken graduated college and is working full time with a promising future ahead. Today Mandy and Ken remain in close touch. In "Taming the Tokolosh," Mandy finds that her journey towards and through forgiving her attacker helps open her up to healing other key relationships in her life, namely with her 80-year-old mother. Mandy challenges us all to think about making different choices when faced with negative people, situations and events in our business or personal lives. The book provides helpful tools and resources about how to overcome adversity. Bass weaves the South African mythical "Tokolosh" into her story, described to Mandy at age five by her older sister as the "scariest creature in the world, uglier than the ugliest monster you can imagine..." as she tries to keep the fear and rage that is threatening to encompass and overwhelm her at bay. FOR MORE INFORMATION OR TO SCHEDULE AN INTERVIEW: Contact Carol Gifford at carol@giffordpartnerships.com or 312-307-8318.